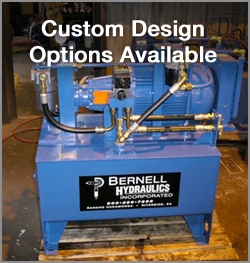 If you’re looking for hydraulic power units in Pomona CA, head to Bernell Hydraulics, southern California’s premier provider of hydraulic parts and service since 1977. We not only sell hydraulic power units for all kinds of equipment, but also service and repair them. We invite you to stop by one of our locations to learn more about how we can help you with your power unit. Feel free to ask us for help whenever you have questions about your hydraulic power unit’s performance. We’ll send a skilled technician right to your job site to diagnose the problem and provide any necessary repairs or maintenance. You can also ask for our dedicated onsite Hose Doctor service or maintenance services like fluid top offs or fluid flushes. You can trust our expert repair technicians to handle any kind of power unit related repair or maintenance with skill and professionalism.